Second year: the idea is exciting and thrilling yet absolutely daunting at the same time. You tell yourself that it’s going to be just like last year just harder and with more work. However, in my personal experience, although of course you do have to work hard, second year is a lot more about personal growth and direction. You are a lot more comfortable in your course and in your surroundings that you begin to explore the other parts of University too. First year is all about settling in and getting used to the basics of University, some people stay with those they meet in halls and just go to their lectures and that’s okay. However second year is all about branching out more. You really get the chance to give something back, especially in lectures. You have a much better idea of the modules you’d like to study, and feel a lot more confident picking and choosing your module selection. Granted, contact hours lessen slightly and independent learning increases, but your confidence within the department has grown a huge amount and you find yourself becoming a lot more organised, knowing most members of the department and understanding a lot more how everything works. You put your revision and working techniques into practise, as you learn a lot from your first year essays and exams such as what works for you and what doesn’t. Some people also chose modules from other areas of the university such as a Institute Wide Language Programme language module in Arabic or Russian. Second year, for me, was an opportunity to showcase my confidence. I put my hand up a lot more in lectures and seminars, contributing my opinions and ideas even if I am not completely sure I’m right. I am much happier to test the waters anyway, as you learn a lot from trying! Lots of people get even more involved with societies. Joining a society will help make your time at university more memorable; it will also help develop your employability skills for after university. At the University of Reading there really is so much you can get involved in as a student, from Quidditch to the business society, and from caving to the Beyoncé society. Joining also gives you the chance to make even more friends who are interested in similar things. Second year is the year that I’ve started to grab the bull by the horns and get everything done. The fact that second year counts towards your final degree grade is also a massive motivational push, and instead of seeing it as scary, I see it as a challenge as it makes me put that extra bit of effort in every time I go to a lecture or write an essay. So overall second year is a year of action and a big step to the future, you get out of it everything that you put in! I hope you enjoy it as much as I have. On 12th October 2015 our lecturer in French Studies Dr. John McKeane hosted the UK premiere of the film ‘Altus’ with French film director Christine Baudillon. 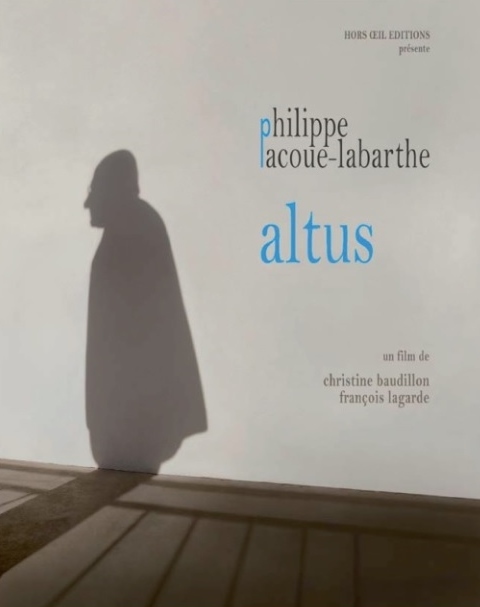 In ‘Altus’ philosopher Philippe Lacoue-Labarthe visits some of the key sites of Modern Europe and discusses famous works, reads poems aloud, and play-acts in order to undermine the image of the self-important Professor. Director Christine Baudillon was visiting from Montpellier, where Lacoue-Labarthe lived prior to his death in 2007, and where Dr. McKeane knows a community of philosophers, film-makers, and artists. This links to Dr. McKeane’s research, for instance his book on Lacoue-Labarthe named (Un)Timely Meditations (Legenda, 2015), and informs his teaching at Reading. 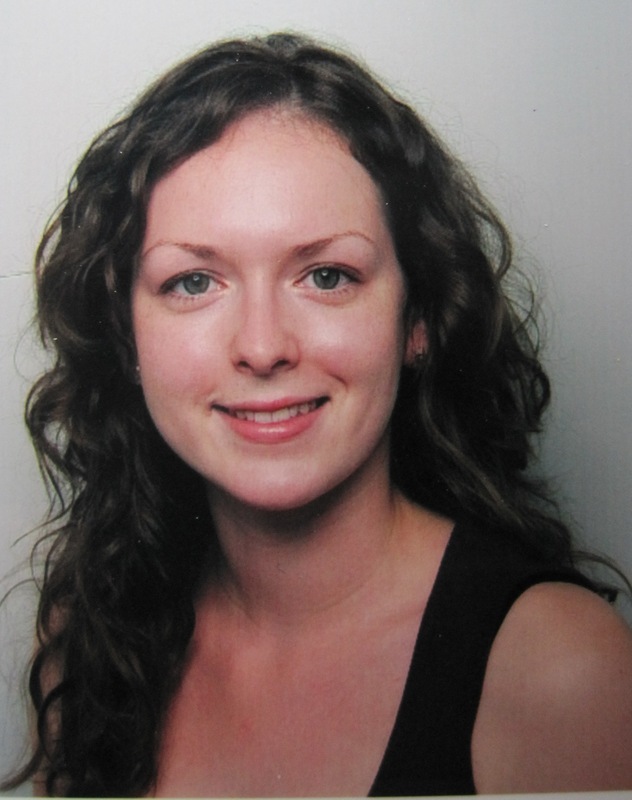 Dr. McKeane is working on a final-year module ‘How to Think in French’ which is being prepared for 2016-17. ‘How to Think in French’ will look at French ideas of clarity and how it is linked to particular ways of thinking and writing. Since the 18th century and the lumières, the idea of clarity has been presented as crucial to notions such as democracy, human rights, and universalism. But how exactly does it work? The module will seek to answer this by looking at major philosophers from the 18th, 19th, and 20th centuries. Students will learn to perform close readings of texts, learning to analyse the conventions of French thinking and writing; they will also learn to think differently themselves. Reading is also really big on volunteering! There’s a whole Facebook page and group of people who organise all sorts of fun volunteering activities! Another thing you can get involved with (and any volunteering you do will count towards this) is the Red Award! RED stands for Reading Experience and Development. The RED Award is the University of Reading’s employability skills certificate and is awarded alongside your degree, so it’s a pretty good thing to have on your CV when you’re trying to stand out to employers! You just need to do 50 hours of extra-curricular activities outside of academic studies and then you can apply for the award. I’ve been to a few talks run by the University that count towards it, one was held by the founder of Green & Black’s chocolate! Red Award is a really simple thing to take part in and definitely worth it. Reading also has its own ‘JobShop’ for students who are looking for part time jobs during their studies. The RUSU website is packed full of different vacancies, ranging from bar staff or shop floor staff to tutoring and babysitting positions. Whatever you’re looking for, I’m pretty certain you’ll find the type of job for you. Most of the jobs are term time only, which is also great as you are able to go home for Christmas and Easter without having to worry! Being a Student Ambassador for the Modern Languages Department has also really enhanced my time at Reading. It means I help run Open Days, run private tours for prospective students and is even the reason I’m writing this article! I’ve only been doing this for a few months but have already grown in confidence and my organisation skills have improved, and it will look impressive on my CV too! Essentially, the University of Reading is one of the most vibrant and active Universities! There is always something going on and everyone is so friendly and helpful that you never feel lost or scared. In my experience, the best thing to do is throw yourself into as much as possible throughout your time here and once you’ve graduated you will be able to look back on the best years of your life! 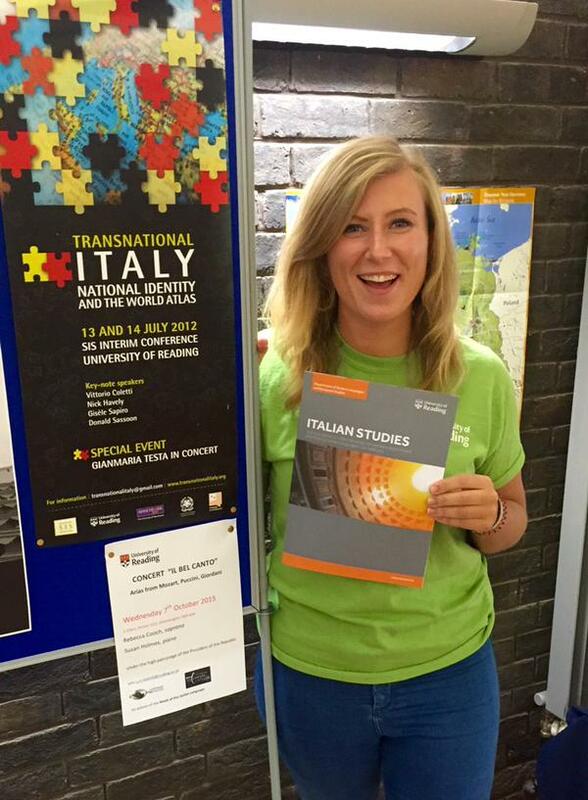 I recently returned from my year abroad where I spent four months studying in Toulouse and six months in Siena. The year abroad is perhaps the most important and exciting aspect of the modern languages degree for the students as is it an opportunity to gain independence, meet new people and really improve language skills. 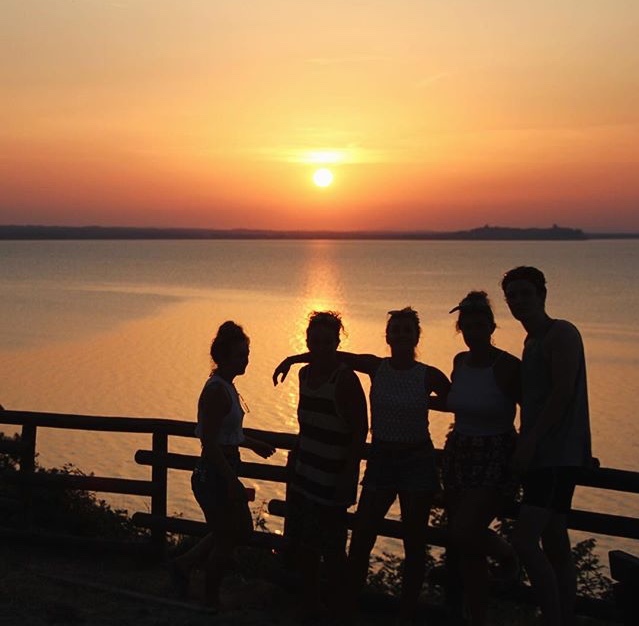 There are so many options available to students at Reading with the year abroad and there is so much help at hand with choosing where to go, what to do and how to make the most of our time away. As I am a joint honours student, I was particularly lucky in that I was able to go to two places: France and Italy. This is the case for any joint honours student based on the languages they study. It was an incredibly daunting experience, choosing which two cities I would be spending half of my third year in, however we were very fortunate in that we had the fourth year students who were more than happy to advise us and discuss their experiences with us. Before going on the year abroad I had to make the important decision as to whether I wanted to study at a university or work during my Erasmus period, and I chose to attend a university in both places as I was eager to see the differences to the university system in England. This choice was a positive one for me as I really enjoyed the experience of studying abroad, however a lot of people chose instead to work and also had an amazing time, and of course were earning money, which is always a bonus! 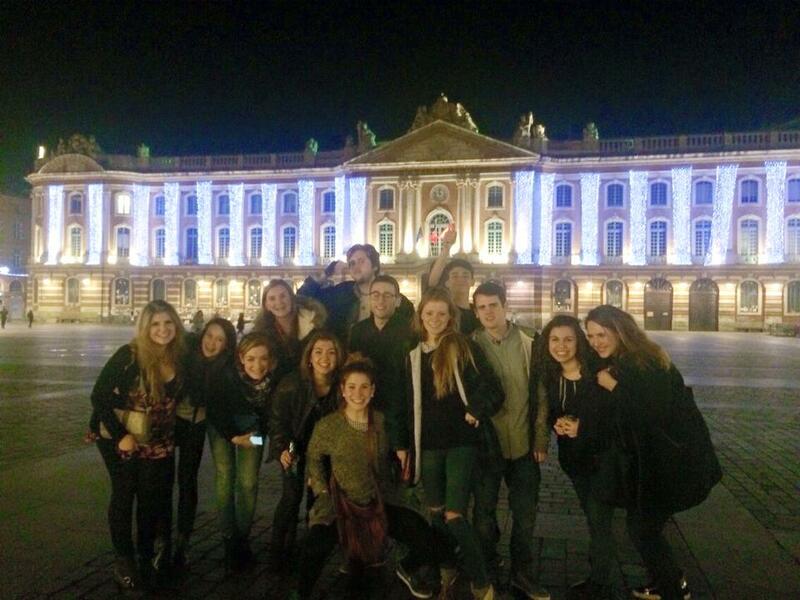 When I finally arrived in Toulouse in early September and again in Siena in February, it was safe to say I was terrified, however it did not take long to make myself at home because I quickly met many Erasmus students who were in the same position as me. It was definitely easier to adjust to life in Siena as I had already experienced a big move and was slightly more experienced. However, what I found so amazing about moving abroad was how friendly people are and how strong the friendships you form become because everyone is in the same boat and everyone wants to make the experience the best it can be. 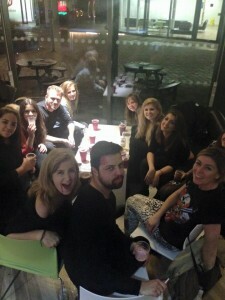 Studying in French and Italian classes and going to lectures was definitely a challenge but a good one as I noticed quickly how well my language developed, and through the classes I met other students, both English and international and it definitely helped form friendships with local students too. I would strongly encourage anyone going on a year abroad to really try and socialise with students from the country in which you are living because it is so beneficial for your language and it also becomes an excellent excuse to go back and visit! For me, one of the best aspects of the year abroad was getting to know the culture of the two countries. Having studied French and Italian for so long, it was really nice to be able to spend some time in both countries to really understand and experience everything they have to offer. I used the time very well in my opinion, making sure I tried all the cheeses I could get my hands on and drinking all the different wines the regions made! It is safe to say, I will never eat a ready meal again. The year abroad for me was a real opportunity to develop as a person, independently, socially and with regards to my language too. It is quite incredible what you can do when you are thrown into something and have to sort things out for yourself, whether that be finding an apartment, opening a bank account or sitting an exam. The people I met abroad have become some of my closest friends and will continue to be for many years to come, so much so that I am already planning to go back and visit in the next few months. It was the most daunting endeavour I have had to face so far in my life however I can now say looking back that I do consider it the best year of my life! As a second year student of German and Italian at the University of Reading, it’s safe to say I have a love for languages. Starting at Reading last year, I learnt that I shared this love for languages with both lecturers and fellow students in the Department of Modern Foreign Languages. I attended countless University open days in year 12 and Reading stood out for me because of the welcoming nature of the lecturers and the students and this was not a one off occasion. Throughout the course of my degree so far, it has become obvious that the lecturers in this department love their subjects and have a lot of enthusiasm for what they teach. Joining the MFL department at Reading not only immerses you in the culture of the language, but places you amongst many like-minded people with lots of mutual interests, therefore I’ve made a lot of amazing course friends too! Without a doubt there is a focus on working hard, but there is a great balance with fun and enjoyment within this department. (If I can’t convince you, then maybe this will: https://www.youtube.com/watch?v=r4gG9TYP-Y0 ). Throughout the year, many social events are planned such as: the Sauerkraut Cup- a football tournament with other universities, trips to Christmas markets, Halloween parties, and regular meet-ups with the Language Societies which are run by current students. The first year of my degree was fantastic. I continued my studies of German language and my eyes were opened to the wonders of Italian. Starting a language as a beginner at degree level is a daunting prospect. However in my experience, there was nothing to be worried about. You receive plenty of support from your language tutor to make sure you’re working at the right level and they are more than happy to have one-to-one meetings if you are struggling with something in class. If you start a language from scratch at Reading, you will be at GCSE level by the end of first year, and by the end of second year you will be ready to live and work abroad. There’s no denying that this is a very intensive course, but it’s also amazing to think you’ll be fluent in a whole new language at the end of your degree. My other main concern was that I would somehow forget all the German I’d ever learnt by the time I started University and once again, there was no need for concern. First year is used to ensure that everyone reaches the same level of proficiency and often topics from A-level courses are recapped, so there is not a huge or scary transition from school at this stage. The main difference from School that I experienced was the interactivity of the lectures. German and Italian lend themselves well to small class sizes, which are usually very hands on and discussion based. The majority of my classes have on average 12-20 students in them, which is great as it allows everyone to participate and share their ideas. This is also a good way to get to know your lecturers and class mates. One of the best things about doing a language degree is the variety. Not only do you gain an extensive knowledge of the language itself, but you also learn about it in the context of literature, history and culture- it’s almost like you’re getting 4 degrees for the price of one! Last year I studied modules from the Nazi Past and Present, to Renaissance and Medieval Italian Culture, and everything in-between! If you have any trouble deciding which modules to pick, then during Welcome Week there are help and support sessions run for signing up for modules and plenty of information and advice is given about the content of the available modules. Also during Welcome Week, you will meet your assigned Personal Tutor. This is usually a lecturer from the Department who will hold compulsory one to one meetings each term. They can give advice on anything from educational problems, to pastoral issues and genuinely want to help wherever possible. With a Languages degree, if you’re enthusiastic and hard-working, then you will be rewarded with the gift of knowing another language, and I can’t think of anywhere better to study it, than the University of Reading. A language degree is a skill for life. Studying a language is undoubtedly one of the most enriching and useful challenges as a young person. Modern Languages open up a wide and exciting range of opportunities that extend far beyond just a summer holiday. However in my opinion, grammar, tenses and translation may not be enough. There’s so much more to study when it comes to Modern Languages at the University of Reading. As a final year student, I can safely say that my language skills have been immensely improved thanks to my understanding of Europe as a whole. By choosing to study European culture, politics and history modules within our department, I’ve been able to add a depth of context and understanding to my degree. The European Studies modules are available as options throughout your time as a Modern Languages student, and cover a variety of topics to suit all interests. The selection of European Studies modules on offer at Reading are among the most exciting and flexible in the UK. In my first year of study I chose two European modules, which together covered the basic history of Europe. We looked at the formation of Europe, and the wars and battles for independence that have changed the make-up of the continent. 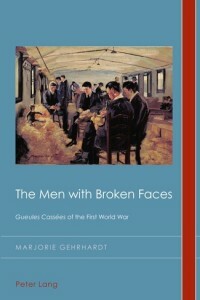 This provided a brilliant starting point, and definitely appealed to my inner historian! These two European Studies modules ended up being my favourite across the whole first year, this was thanks to the excellent teaching and accessible design of the course. It was easy to follow, and I learnt a variety of quirky and interesting facts about traditions and daily life across Europe. As Modern Languages students, we have constant access to a range of resources in the department, available throughout the year for extra reading. The French, German and Spanish newspapers available to read in the resources room help to keep our knowledge of current affairs up-to-date. There is also an extensive collection of European history texts in the university library to assist us with essay writing and research. European Studies modules are a brilliant way to challenge and test our abilities as Modern Language students, they contain concepts and topics that are often new and may not have been covered at A-Level. For example, I was slightly overwhelmed by the different institutions of the European Union, and the process used to implement laws. Despite this, the lecturers made the content accessible and interesting, it was really satisfying to get to grips with such engaging discussions! Not only do we have fun and varied seminars during our weekly schedules, I was lucky enough to visit the Natural History Museum with my EU modules during Enhancement week. Visiting the Darwin centre really helped to visualise some of the concepts we’d studied in European sociology, it was great to apply our knowledge in real-world scenarios. I would definitely encourage any Modern Language student to consider the European Studies modules at Reading, it is an exciting and ever changing time to be studying all things Europe. Not only will this give you a solid context for your essays and background knowledge for presentations, it is engaging and fun! Lots of international and ERASMUS students choose to take EU modules, so it’s a great way to make friends from around the world, you can even perfect your language conversational skills. EU modules give you the opportunity and flexibility to personalise your language course, choosing courses from the participating departments. It’s a great way to study the subjects that appeal to you the most. I’ve gained a variety of skills including presenting, project management and analytical thinking. Most importantly, I now have a detailed knowledge of European countries, cultures and the institutions of the European Union. European modules at the University of Reading have been an excellent foundation for me, and as a final year student I feel well equipped to face a competitive job market both at home and across Europe. 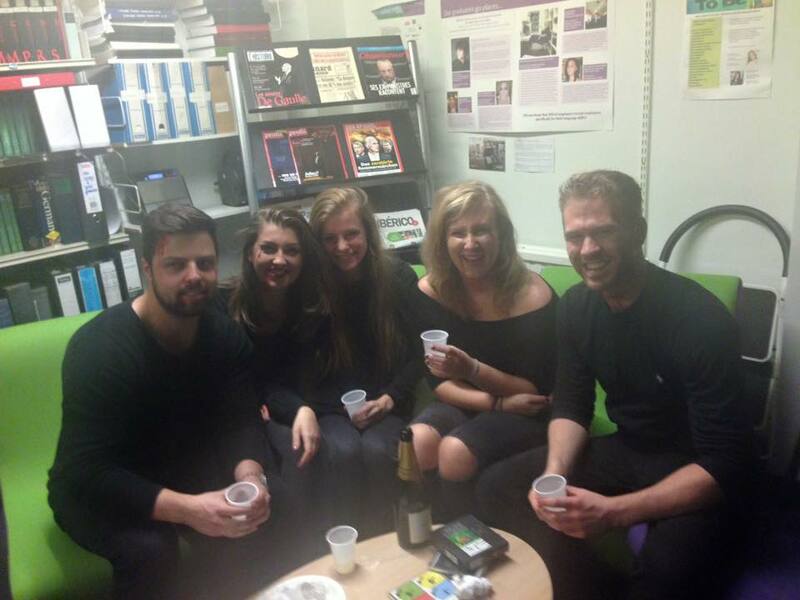 Students of Italian celebrating Halloween in Dante’s Inferno. The party was organised by the wonderful Paola Nasti, who made two delicious pizzas and a pasta dish that kept everyone lingering around the food table. It was a lovely evening filled with great company, good wine and lots of laughter. The evening was an excellent opportunity for the students and lecturers to bond, but also for Erasmus students and Reading students to get to know each other a bit better. After the success of the evening, the Italian Society and the department are eager to organise another fun evening similar to this one, so make sure you check our Facebook page and your emails for any upcoming events! And make sure, too, to follow this blog, like us on Facebook, and subscribe to our Twitter feed, so that you can keep up on all the news and events of the Department of Modern Languages and European Studies at the University of Reading. 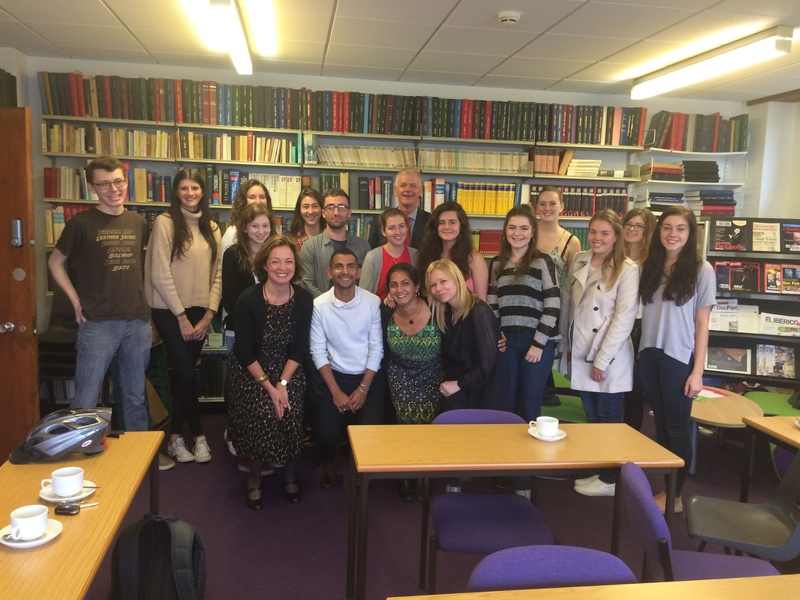 Vice-Chancellor Sir David Bell KCB met students and staff in the department. On Wednesday 25 November, The Vice-Chancellor Sir David Bell KCB and the staff in Spanish will welcome students, colleagues and friends of the University of Reading to the official launch of the new BA Spanish programme. The evening will be an opportunity to thank the many individuals and groups that have helped to set up Spanish, including a number of embassies and community partners, and to meet and exchange ideas about the new Spanish and Latin American profile at the University. There will also be a photo exhibition by the Havana photographer Sonia Almaguer about literacy and reading in revolutionary Cuba. The BA Spanish (Joint Honours) is new for 2015, and now has its first cohort of 26 students. From 2016, we will be offering a beginnners’ entry point for BA Spanish programmes. For further information, please go to our website.